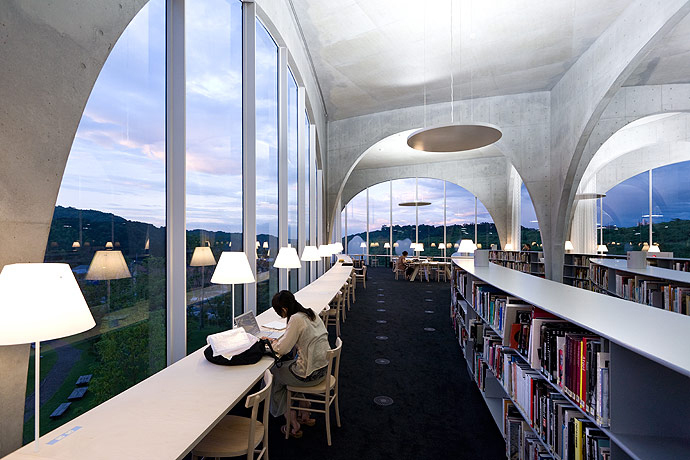 Tama Art University Library by Toyo Ito // Tokyo, Japan. I’ll tell you what really hurts? Coming back from Tokyo and realising I missed out on seeing this spot of architectural genius. 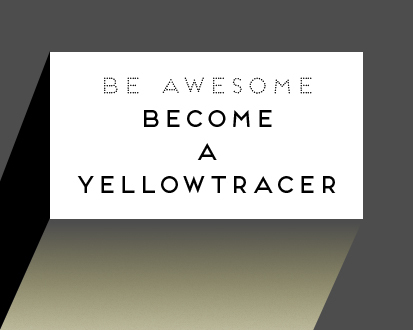 If you follow me on you probably already know I wasn’t exactly twiddling my thumbs looking for things to do. Fitting in anything more would have been near impossible – but still. Okay, I’ll put an end to my first world problems rant now. Let’s just enjoy this one from afar together, shall we? 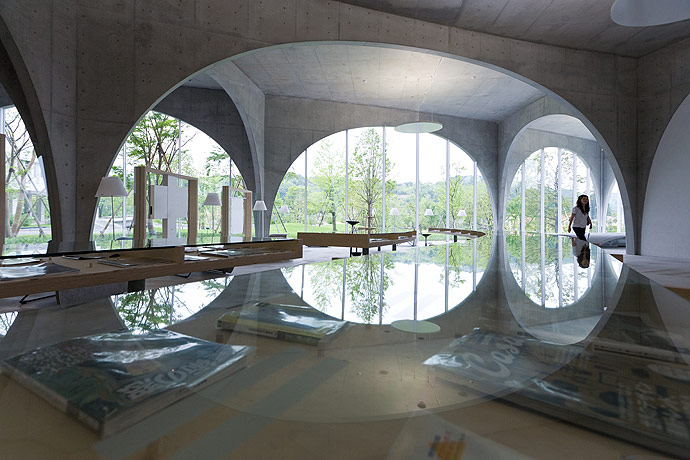 Toyo Ito’s library at Tama Art University is comprised of a series of concrete arches. 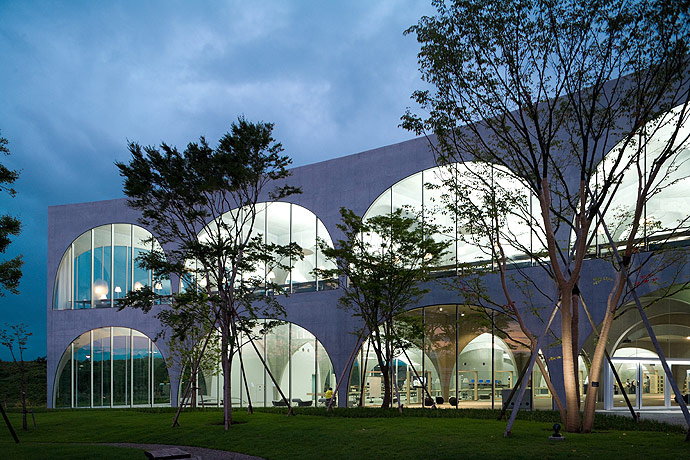 The arches, which are of varying span lengths, are arranged in an irregular patterns driven by the slope of the surrounding landscape. 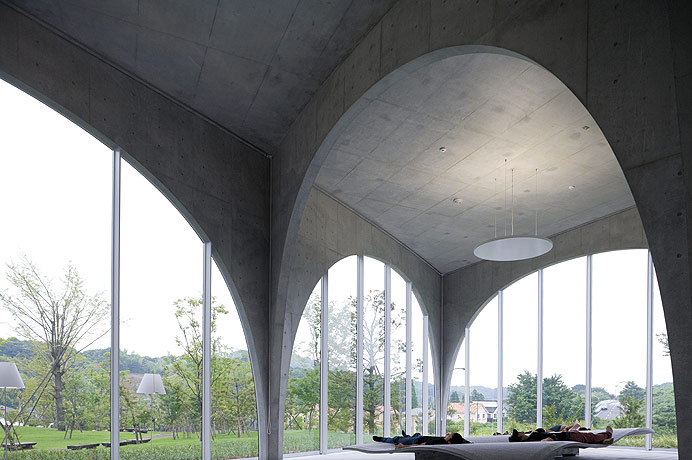 The arches intersect to form slender, loosely cruciform columns which ever so gently connect with the earth. 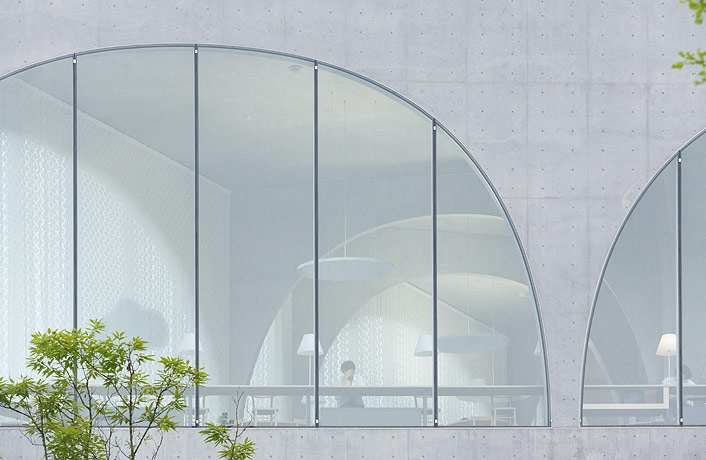 The purity of the idea permeates both inside and out, with the irregular rhythm of the arches marching across the facade. Where are the services? Who knows. 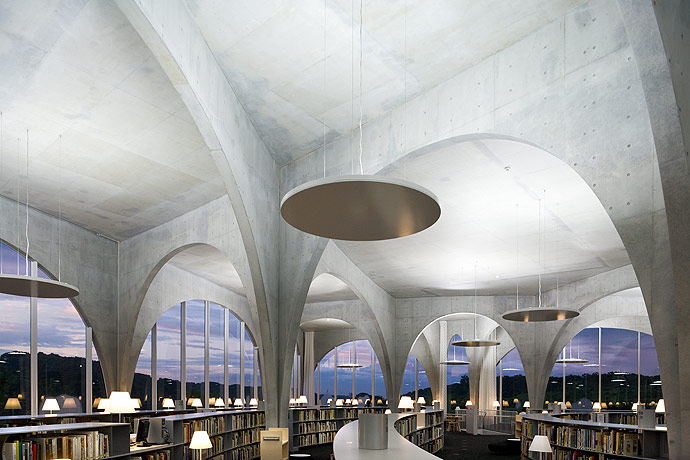 The concrete ceiling is largely uncluttered, with the exception of a series of halo pendants floating between the arches. 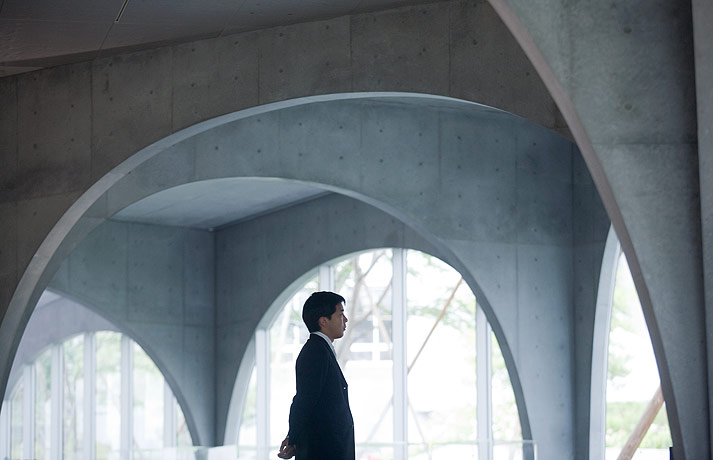 A thoroughfare runs through the ground floor of the building to encourage pedestrian activity and campus interaction. 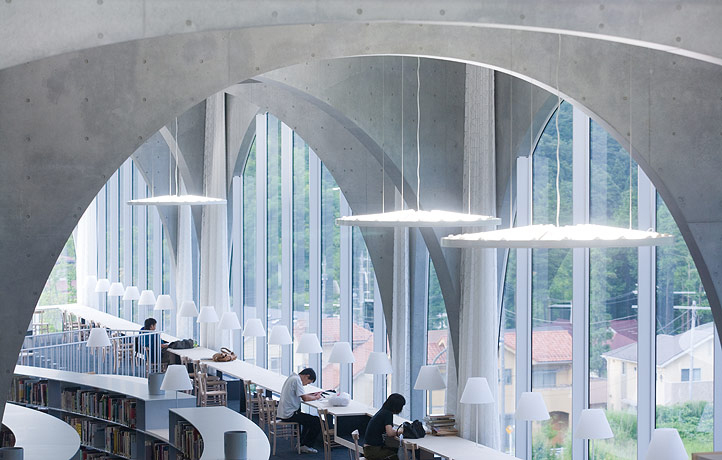 The spaces are divided into a variety of functions, allowing students to occupy it in a number of ways from focused quiet study, chilled out relaxation areas and areas for chatty social interaction. 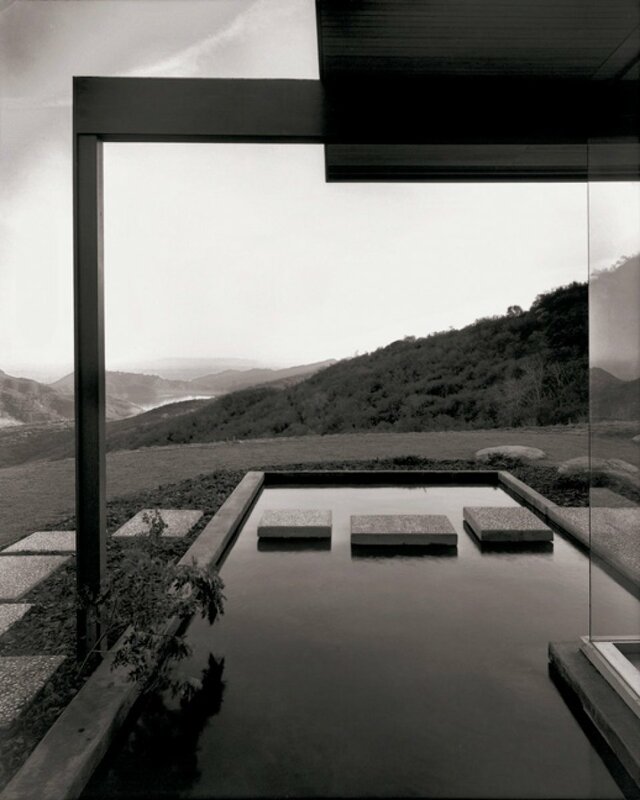 I’m particularly fond of the way Iwan Baan has photographed this work. 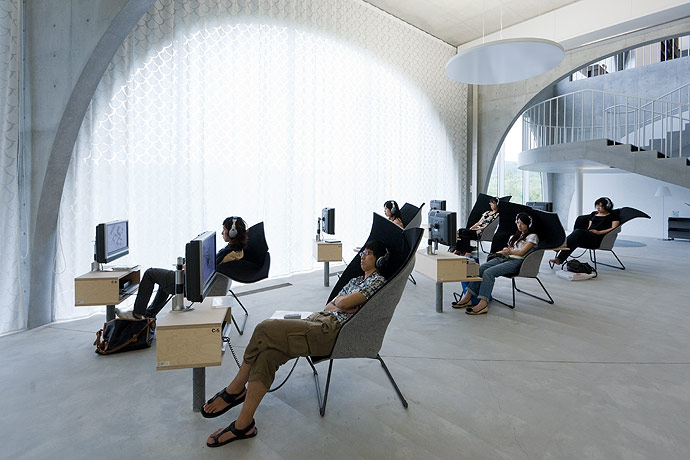 It illustrates the space being used in a way that feels completely unstaged. 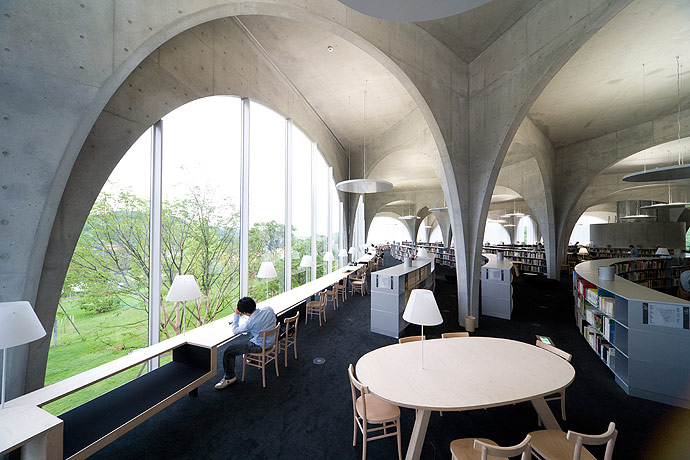 It helps us to imagine how this space would invite calm and focus. 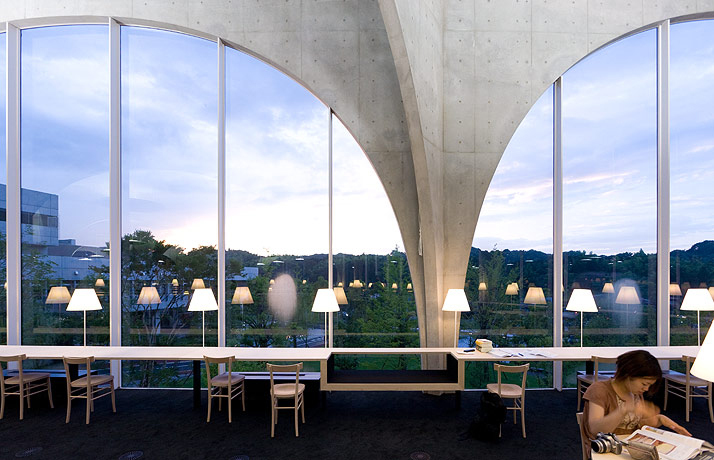 I know I haven’t been there (yet) but I imagine I’d be quite pleased to study in a space as beautiful and poetic as this one. Video // Christian Dior Runway Spring/Summer 2014. Neon Light Installations by Massimo Uberti. 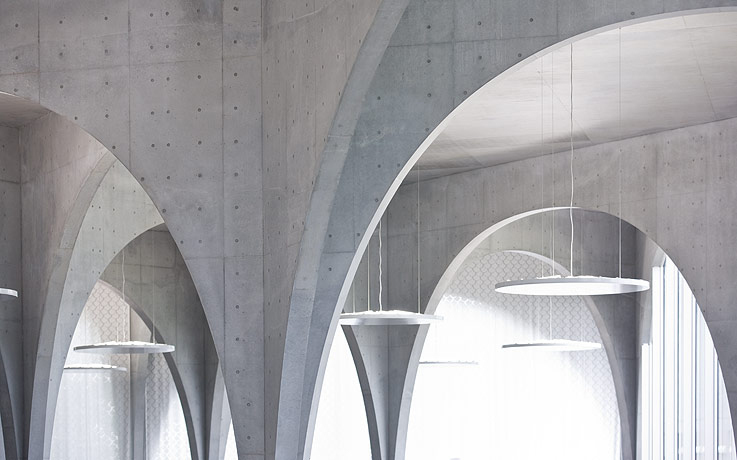 Ella is a design obsessed architect from Melbourne and author of the blog 'pages from my moleskine'. 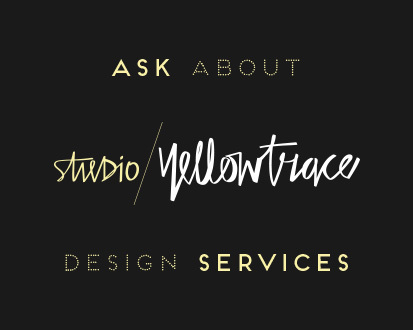 She specializes in residential architecture and currently works in a senior design role with an equal focus on architecture and interiors. Things that really float Ella’s boat include; designs that frame an experience, innovative material explorations, textures and light, clarity and simplicity. She is addicted to learning through making and doing. Her free time is spent sewing, knitting, knotting, folding, moulding, shaping, dyeing... Contemporary dance is another great life passion of hers. 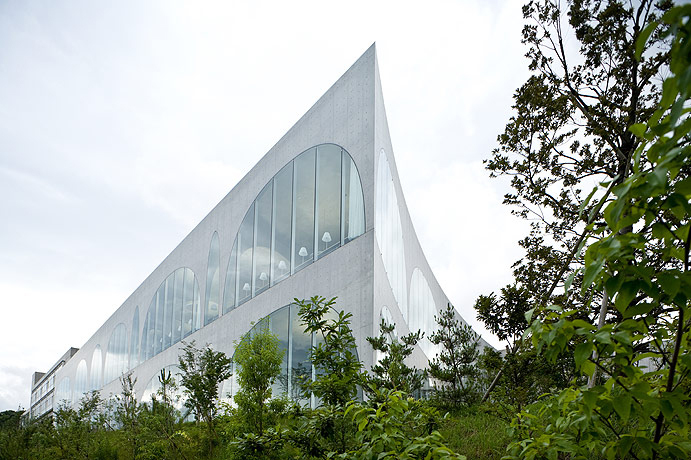 In fact, Ella is convinced that dance and architecture are two dialects of the same language. 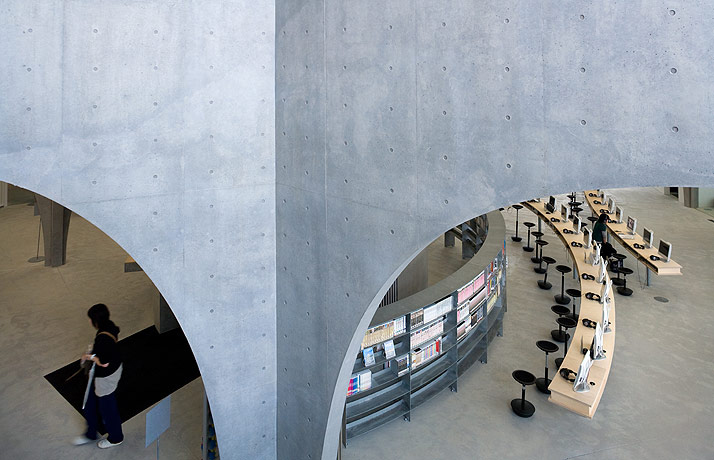 No one does concrete like the Japanese, or Toyo Ito. 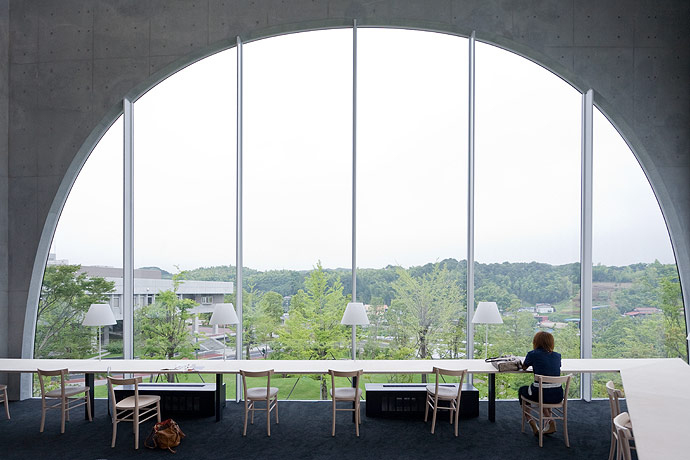 I love this building, we need more arches in this world, especially intersecting ones. 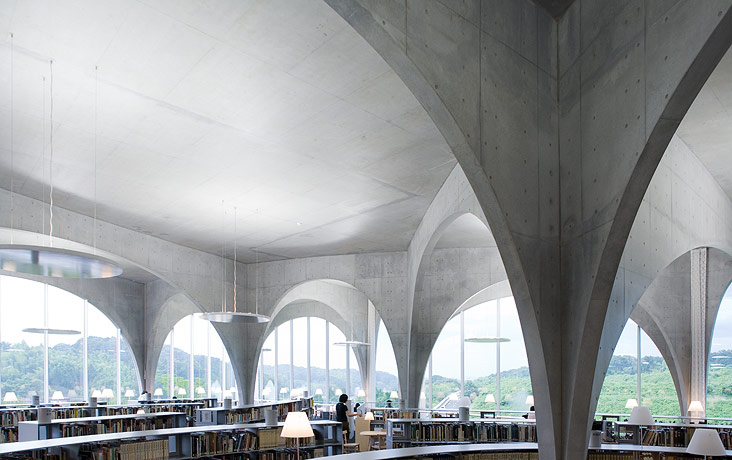 I suspect that the ceiling isn’t solid concrete, that it is a lightweight sheet covered in concrete render perhaps, because the wires disappear into it, which is technically possible but seems unlikely (at least to Australian eyes, but really, all of our buildings are cheap). The AC is in the floor and some big cylindrical service risers around the place (not in these photos). But who cares really? It’s all about the affect, which is wonderful.